Retired Union Army officer T.E. Picotte published the Wood River Times in Hailey during the 1880s. In thanks for creating one of the first newspapers in Idaho, Picotte was horse-whipped by disgruntled readers on two occasions. One of his editors was shot in the groin and neck for publicly accusing a Hailey resident of running out on his bills at the Hailey Hotel. Yet Picotte persevered at a time when free speech came with great peril. In 1886 he was quoted as saying, "The Times is a business institution. If you don't like it, don't take it, but if you take it, pay for it." Today, most newspapers offer free content online, so they are more easily taken for granted. Perhaps because there is so much bad news these days, it has become trendy to "kill the messenger" rather than thank him for sobering us up. Ubiquitous Google News streams from around the country and around the world can give the impression that news is simply "in the air" like some free and abundant natural resource. But this is far from true. It costs real money to produce newspapers (with online updates). Reporters get paid to pay attention at public meetings, providing a proxy witness for the community on crux issues, separating rumor and hearsay from fact. Does it matter that drug gangs are active in the region, or that the real estate market may soon hit bottom, or that water and sewer rates are set to rise dramatically? Perhaps a better question to ask is, "How do you know these things in the first place?" Chances are, you're holding the answer in your hands. < If matters have improved much since Picotte's day in the Wood River Valley, I believe it is due to journalists' reporting on public behavior "without fear and without favor," to borrow a motto from The Financial Times. Reporters tend to believe that telling true and detailed stories makes for better decision-making in government, better choices in business and a healthier democracy based on a free flow of ideas. But while talk is cheap, free speech isn't. Advertising dollars pay for the service of news gathering, which costs more than the rant and opinion that often poses as news. It also takes financial stability to produce the offbeat, soulful and investigative stories that get beyond political sloganeering. Investing in a local newspaper amounts to an investment in the community. Unlike in Picotte's day, readers are now invited to chime in with opinions and additional information at the bottom of online stories on newspaper websites. This is helpful because reporters can't always cover every angle—there's always another viewpoint, another perspective. Citizen journalists contribute to the mix, but one thing Google News and news archives cannot replace is the institutional knowledge that comes with seasoned editors and publishers. This comes from good old-fashioned memory, not virtual memory. In the end, it's not the opinions of news writers, editors and publishers that matter most, but the opinions of citizens who shape the communities they live in. The next time you get angry at what you read in the paper, take a moment to ponder what it took to gather the information, and what influence it might have on your decision-making. 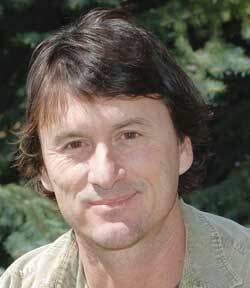 Tony Evans is a reporter for the Idaho Mountain Express. He expresses his personal thoughts and opinions in this monthly column.